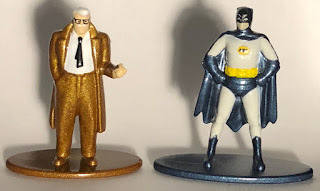 The other day when I bought my Classic TV Series Batman he was on the shelf with this Commissioner Gordon and I figured it was my destiny to buy the two of them together, or someone might have decided to not buy these two and stuck it on the first shelf they found. 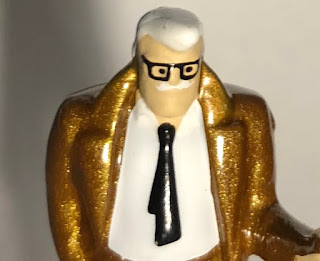 Commissioner Gordon is, of course, nearly the only cop that isn't dirty in Gotham City which is also where Batman works out of. 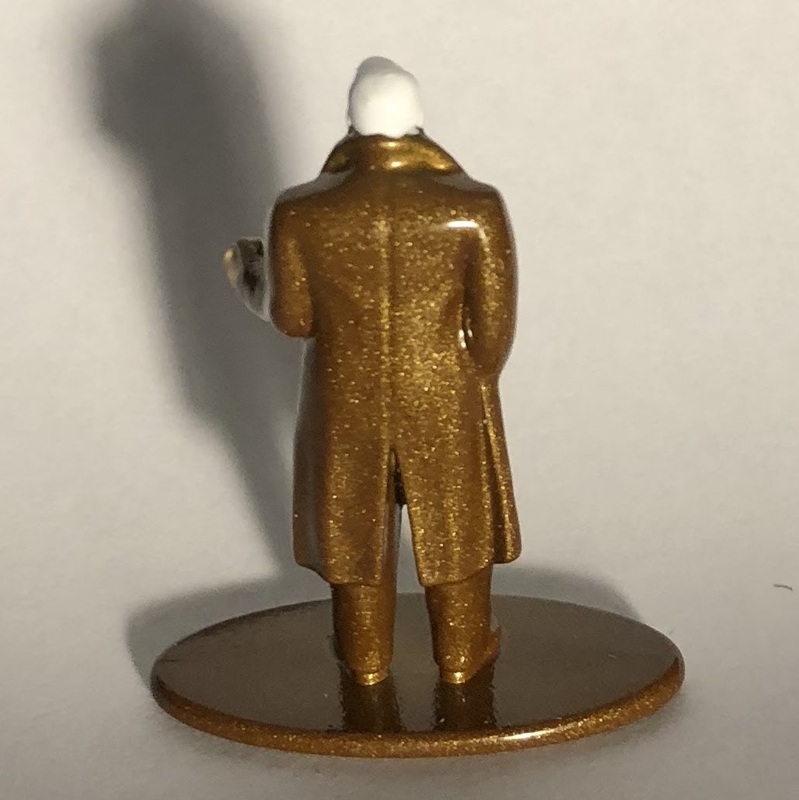 I'm not sure how Nano works it but I believe each miniature figure comes from whatever picture is located on the front of the package. 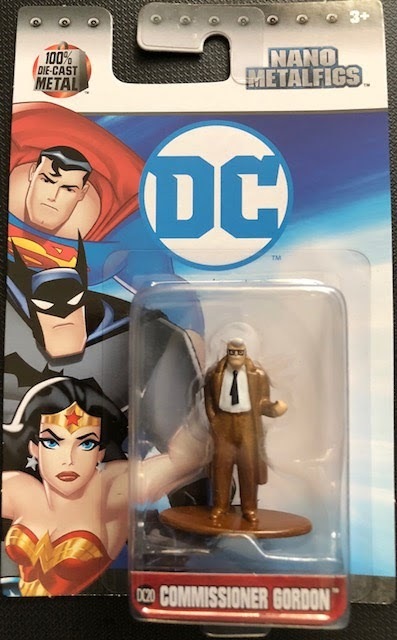 Gordon has the animated Superman, Batman, and Wonder Women on his packaging so I believe that's where this Gordon comes from. Also, he looks just like Commissioner Gordon from the cartoon so I believe my guess is correct. 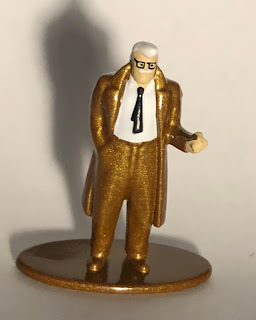 These figures, despite being cheap and lacking too much detail, are instantly recognizable as who they are. 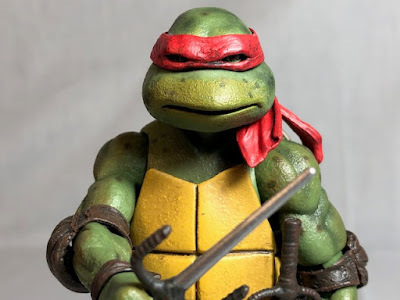 One look at this guy and even a person with little comic knowledge will know who he is. Other than Batman and his rogue's gallery, I believe Commissioner Gordon is the only other figure from Gotham City. 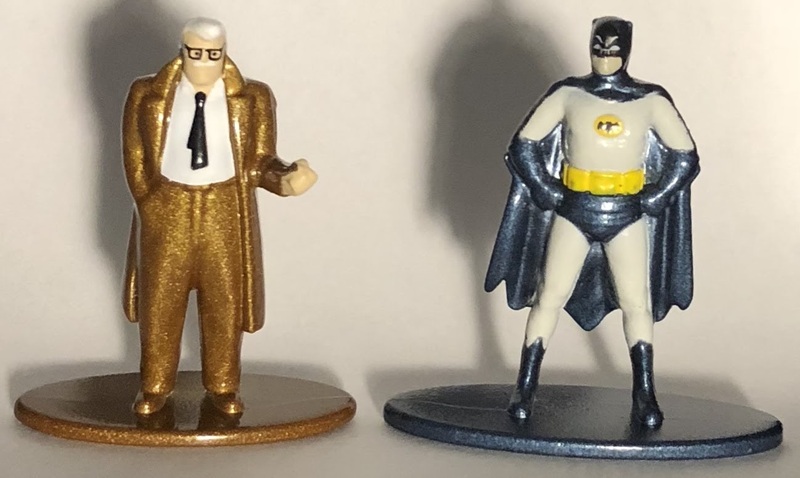 No Batgirl, no Robin, and no Alfred but I believe that this line will do well and they'll be adding those other guys soon. Commissioner Gordon is another great miniature figure from this line so if you like him I suggest you pick him up before he disappears from the store shelves.